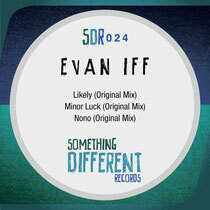 Liverpool based Something Different Records kick off 2013 with a new EP from LA producer Evan Iff, featuring three brand new cuts of underground house music. Something Different Records has been building solid support since its launch in 2011, releasing a string of singles from producers such as Sean Danke, Dave Martins and Dudley Strangeways alongside some remix packages. Now the Liverpool based imprint is teaming up with Luke Alan AKA Evan Iff for their latest release, the ‘Minor Luck EP’. Alan has been a producer for some time now, working under his Evan Iff moniker with releases for labels including i! Records as well as recording with Neil G as Left Minded, releasing on labels such as Paper Recordings. 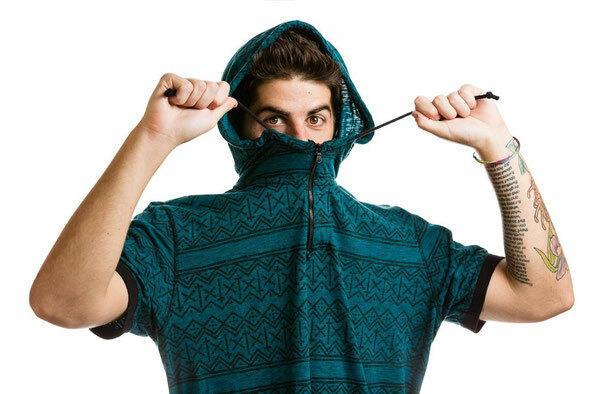 Now the Los Angeles based artist is joining Something Different for his latest musical odyssey. The ‘Minor Luck EP’ opens with ‘Likely’, a deep and melodic house outing that marries a classic house bassline, warm instrumentation and shuffling percussion with an old school vocal refrain. Next up is title track ‘Minor Luck’, a record that apparently takes it’s name from a lucky accident in the studio that found a shift from major to minor key bring the song to life. ‘Minor Luck’ is a hypnotic and emotive slice of house music that conjures up the feel of the ‘90s underground whilst very much keeping its feet firmly in 2013. Finally, he closes the package with ‘Nono’, an excursion into garage tinged house territory that shuffles and shimmies its way through its near nine minutes. It’s out now.